Can I Refinance My Student Loan Debt? Q: I am a medical student. I have a total of around $300,000 in student loan debt taken out in both Stafford and Grad Plus Loans at around 6.5% and 7.5% respectively. I now have to complete a residency. Is student loan consolidation my best option? Also, where might I be able to refinance at a lower rate? A: Student loan consolidation likely will be your best short-term option — at least once you start out working, because your initial student loan repayments are going to be gigantic. I’ll tell you exactly how much in just a moment. But you have an enormous amount of student loan debt, and unfortunately it sounds like you’ll have to borrow more (or are contemplating doing so) while you complete your residency. If you stick to this program, you will be required to repayment $3,483.25 a month for 120 months, or 10 years. You will pay an additional $117,990.76 in interest charges for a cumulative total of $417,990.76 in student loan payments. According to FinAid’s estimates, you will need an annual salary of at least $417,990 to be able to repay this loan. This corresponds to a debt-to-income ratio of 0.7. Also, this estimate assumes that 10% of your gross monthly income will be devoted to repayment of your college debts. Using 15% of your gross monthly income to repay your student loans means you will need an annual salary of $278,660; that works out to a debt to income ratio of 1.1. If you consolidate your loans and stretch them out over 30 years, you will have to pay $1,995.91 a month for 360 months, or 30 years. While the monthly cash outlay is less in the extended repayment option, recognize that you will pay far more money overall. Under this program, your total interest paid will be $418,524.53, according to FinAid, bringing your total amount of loan repayments to a whopping $718,524.53. 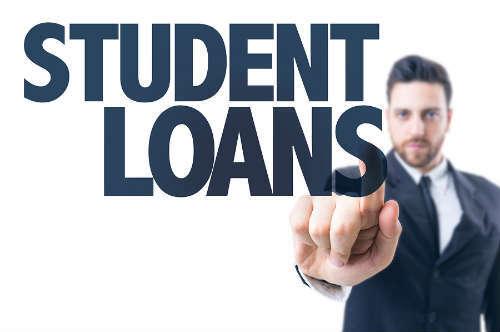 FinAid’s calculators also stated that you need a yearly salary of at least $239,509.20 to afford to repay this loan using 10% of your gross sslary, with a debt to income ratio of 1.3. If you use 15% of your gross monthly pay, you’ll need a salary of $159,672.80, which corresponds to a debt to income ratio of 1.9. As you can see, unless you’re completely rolling in the dough as soon as you begin working full-time, you will likely have no option but to stretch out your payments, just so that they will be remotely affordable. One other benefit of consolidation is that you will likely be able to get a lower rate than you are currently carrying on your loans. Therefore, to refinance and get the advantage of a lower rate via loan consolidation, visit the Department of Education. Visit the department at: http://loanconsolidation.ed.gov. Lastly, there are a few other things you can do to make your student loans more affordable or to eliminate them more quickly. You can pay extra payments on consolidated loans. That will decrease the interest charges you pay over time. You can live modestly, so that you have more money to put toward your college debt. You can see if a potential or future employer might be willing to pay off some of your student loans. And you can investigate various student loan forgiveness programs that are offered to people in the medical or healthcare fields. 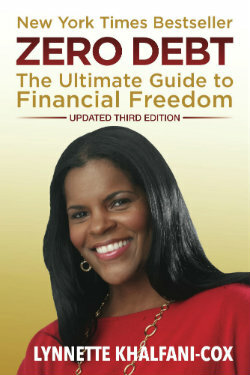 I give more tips on all these strategies in my book, Zero Debt for College Grads: From Student Loans to Financial Freedom.